When your target market includes environmentally aware shoppers, having a store that reflects your commitment to the eco-friendly movement is a must. There are a variety of ways to attract attention, including display and merchandising materials that reflect your commitment to "go green." This helps your customers see you and your business through the lens of a quality-conscious, community-minded merchant whose values align with theirs. Even hangers can be eco-friendly. Packaging and presentation make a big difference. An eco-friendly gift box or bag solidifies the brand image you've carefully nurtured for your store, ending the customer's purchase experience on a very positive note. Not only that, it's a smart, practical way to expand the circulation of your brand, since boxes and shopping bags often get reused in unexpected ways beyond the original sale. Whether it's a large box, small box, gift card box, shopping bags or eco-friendly tissue and wrapping paper, beautiful finishing touches like these will tell your customers you truly care about the environment and encourage them to return to your establishment. Eco-friendly gift boxes, shopping bags, wrapping paper and tissue papers come in a wide range of colors, styles and designs (many of which are earth-themed) – so you can choose the right ones for your particular business. Want to underscore your commitment to the environment? 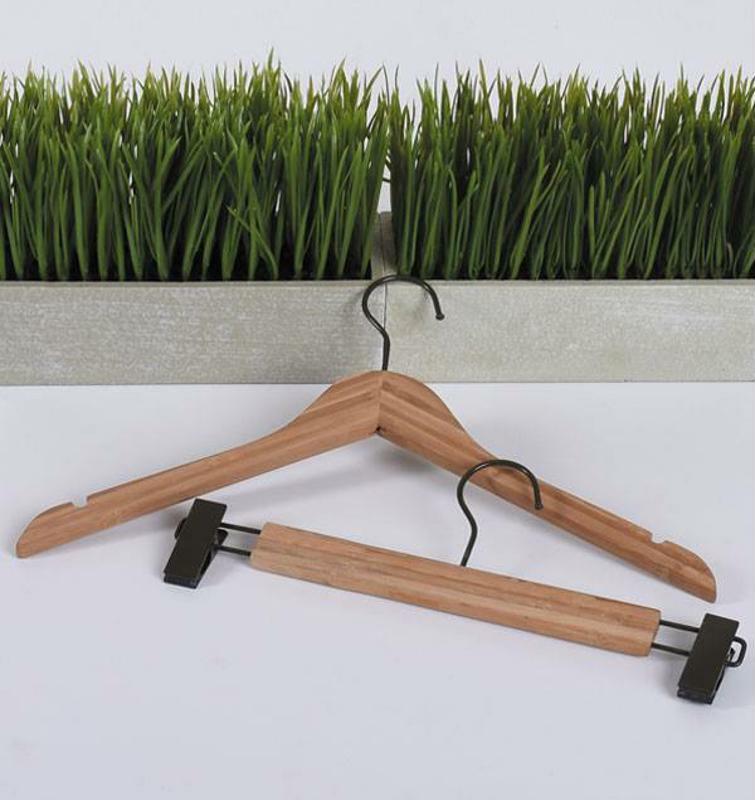 You probably didn't know that there are even bamboo clothing hangers and sustainable, biodegradable sugarcane hangers that bring a whole new look to apparel merchandising. It's always more exciting and effective to show off clothing and fashion accessories employing mannequins and other dramatic display methods, compared to uniform stacks of neatly-folded merchandise sitting on shelves. This offers you another great opportunity to go green, with display materials that are as eco-friendly as the products they're showcasing. Mannequins come in a number of styles, sized for both child and adult displays. The creative options for these classic abstract mannequins include sitting and standing models, male and female torsos, fabric and plastic media, and even an appealing, whimsical bulldog form available in different eye-catching colors (which can be used to show off smaller merchandise like hats, scarves, fashion accessories and jewelry, as well as holding placards and special promotional signage). 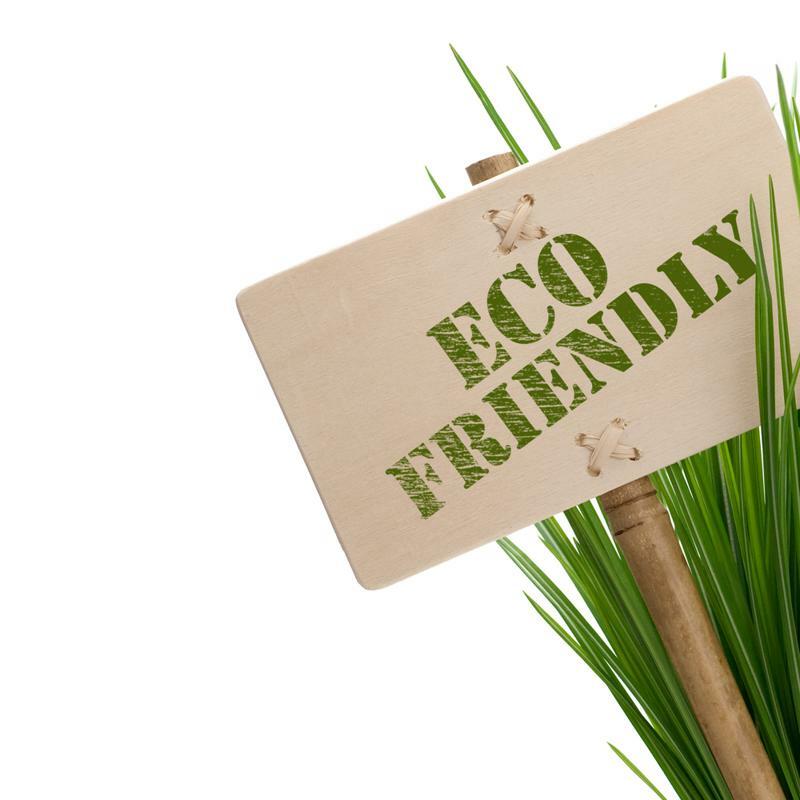 Supporting store personnel with thoughtful measures like anti-fatigue mats may not be as visible or readily apparent to customers as store displays and gift boxes, but it can be another way to demonstrate environmental consciousness when those mats are eco-friendly! Keeping your sales associates happy and healthy, especially when they're on their feet all day, means a cheerful, energetic, better-motivated workforce – which ultimately translates to more positive, productive and profitable interactions with customers, and increased sales as a result. Eco-friendly anti-fatigue mats come in three sizes (20" x 32", 24" x 36", and 36" x 60") to fit your particular behind-the-counter needs, and are available in both black and taupe. For more tips on making your retail more eco-friendly, visit our resource center today.